MSGC's annual Scholarship and Fellowship Competitions are for the ensuing academic year. Awards are normally made to select students enrolled at MSGC campuses in disciplines related to Science, Math, Engineering, Technology or other areas of interest to NASA. The awards are tiered with the potential for automatic renewal. You must meet the requirements below to qualify for an automatic renewal. and complete 5 hours of community service. You must also obtain an endorsement for renewal from your campus affiliate representative confirming criteria for renewal has been met. This will come in the form of a confirmation email from your campus representative to MSGC headquarters. 2nd scholarship: $1500 for the academic year. Automatic renewal for a 3rd year if you remain in good academic standing, remain in a NASA STEM related major, complete 5 hours of community service, and attend MSGC Research Symposium. You must also obtain an endorsement for renewal from your campus affiliate representative confirming criteria for renewal has been met. This will come in the form of a confirmation email from your campus representative to MSGC headquarters. 3rd scholarship: $2000 for the academic year. 4th Year: you are encouraged to apply for a research award. Applications are due each year on April 1st for four year institutions. 1st scholarship: $1000 for the academic year. Automatic renewal for a 2nd year if you remain in good academic standing, remain in a NASA STEM related major and complete 5 hours of community service. You must also obtain an endorsement for renewal from your campus affiliate representative confirming criteria for renewal has been met. This will come in the form of a confirmation email from your campus representative to MSGC headquarters. 2nd scholarship: $1500 for the academic year. Automatic renewal for a 3rd year if you remain in good academic standing, remain in a NASA STEM related major, complete 5 hours of community service, attend MSGC Research Symposium, and are enrolled in a four year Montana institution. You must also obtain an endorsement for renewal from your campus affiliate representative confirming criteria for renewal has been met. This will come in the form of a confirmation email from your campus representative to MSGC headquarters. Affilate Representative information is listed on the MSGC Members page. Note: MSU-Bozeman students MSGC headquarters serves as you affiliate representative. Please stop by our offices, 416 Cobleigh Hall, to confirm your renewal criteria. For tips on writing a good personal statement click on the Institute for Broadening Participation website. The Purdue Online Writing Lab is an excellent site with abundant materials available for students. 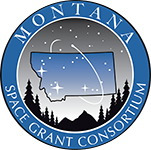 For more information contact theMontana Space Grant Consortium office.